With summer coming to and end we decided to hit the river to check on the walleye bite. 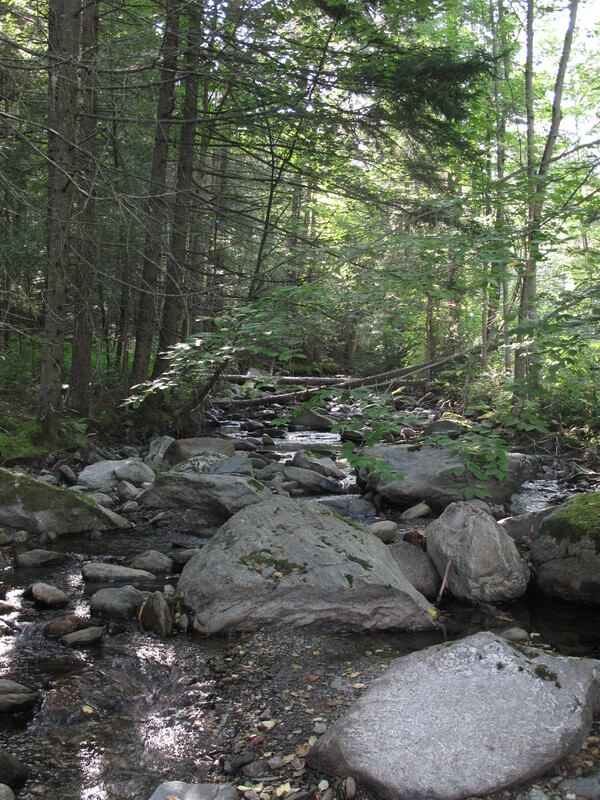 We have had a productive summer vertical jigging timber and decided to head out early in search of some action. The weather in the Northeast lately has brought us cool mornings with fog, hardly any rain and warm to hot afternoons; we knew the fish should be on structure. As you may have read in earlier posts, our preferred method is jigging, nothing more than a 1/4 to 1/2 once jig tipped with a half of crawler, jigged between the timber in 16 feet of water. We pulled up to our first spot with high hopes since we hadn’t touched this spots in a few weeks. 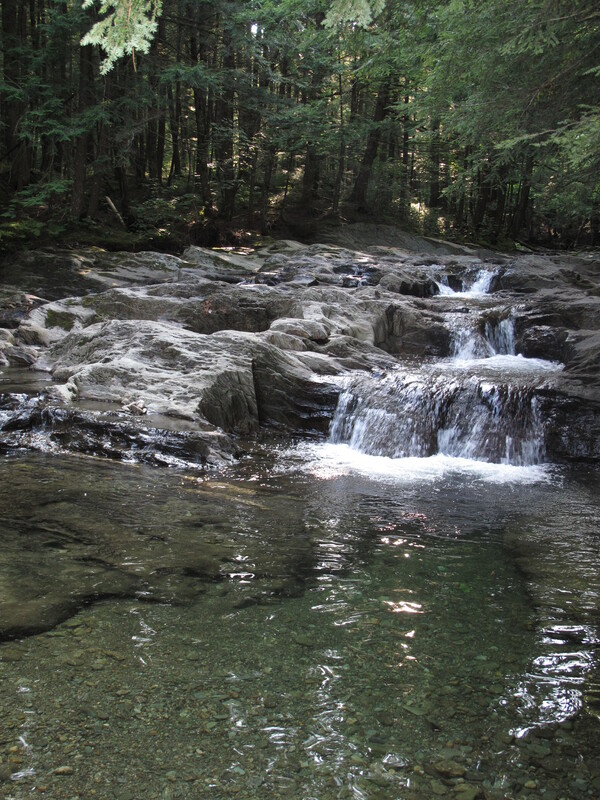 The water temp had dropped down to 70, a ten degree difference from three weeks ago. 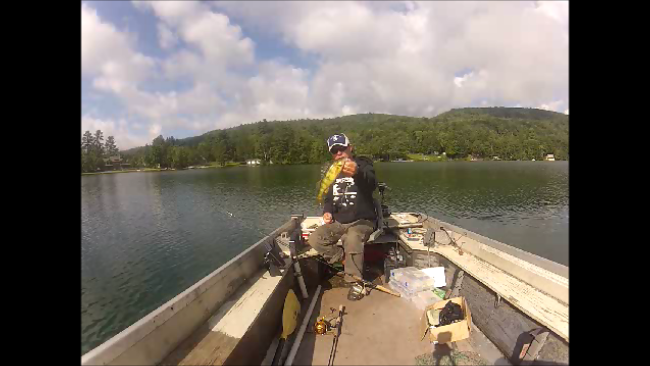 My second drop of the morning scored me a nice 21″ walleye, a “chunky feller”. The bar was set high now, with the anticipation that this first fish was only the beginning of a great day of walleye fishing. We managed to pull a few more decent sized walleye of this first spot but nothing to write home about. 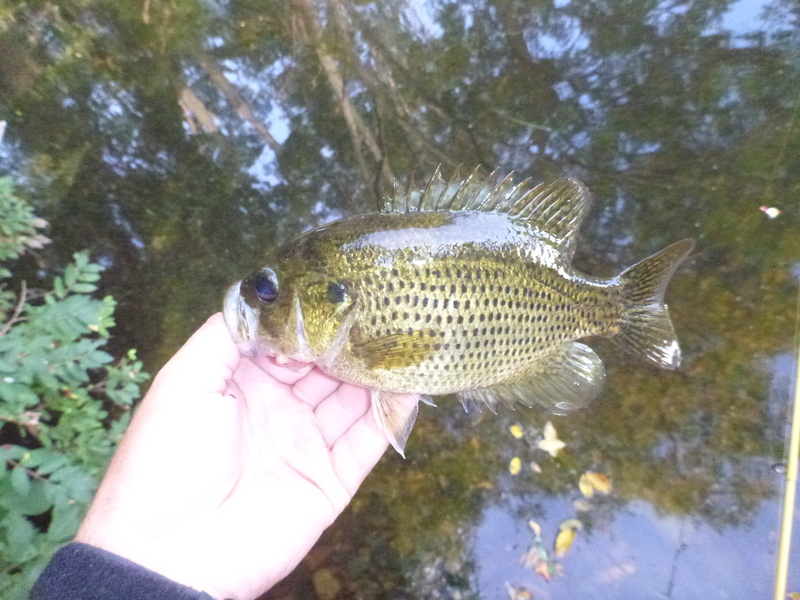 The timber was full of giant rock bass, perch, and the occasional smallmouth. We made a move to our second spot about a mile up river and into the fog. First drop, Dylan hooks up but the fish was quicker than him and it wrapped him around some branches pulling the hook. Fish 1 Dylan 0! This spot in particular had changed a lot since the previous summer when I first found it. There was a lot of brush that was on the bottom making it difficult to precisely drop your jig into a potential strike zone. 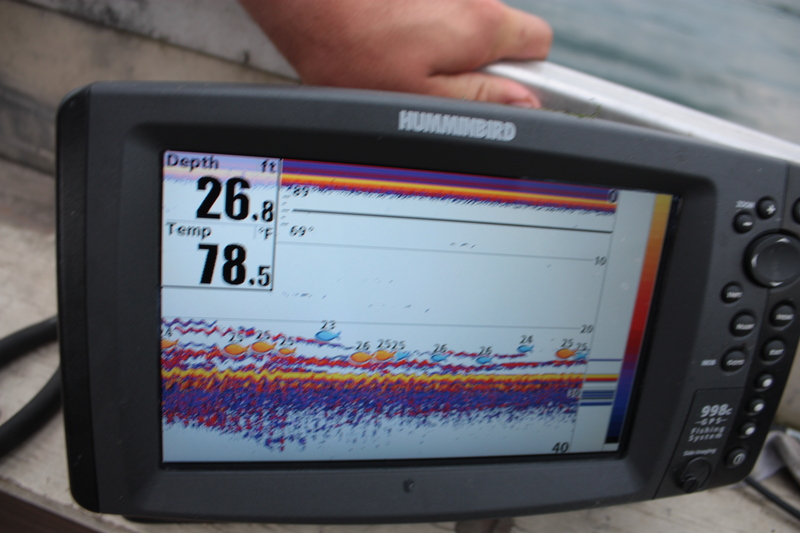 Our only way of know what was down there was the Humminbird 998c SI unit mounted on the boat which gave us a clear view of what we were working with. 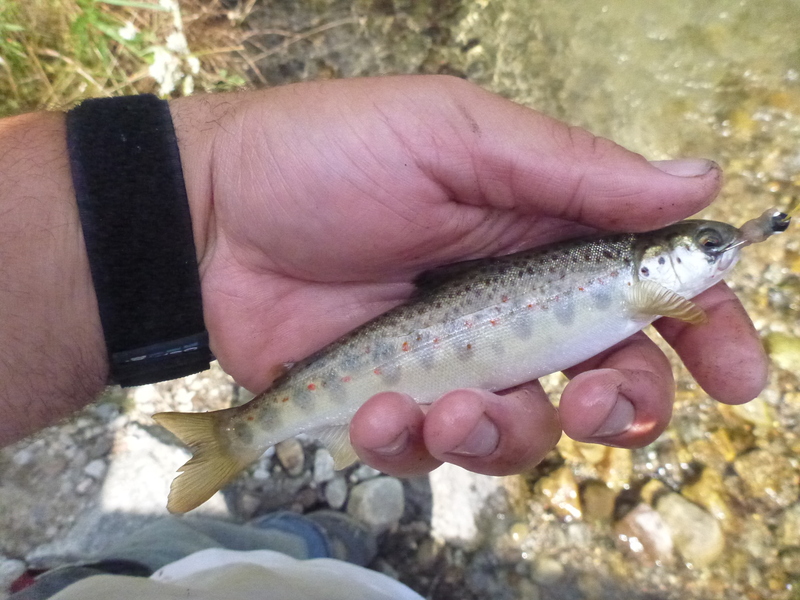 Come to find out that fish on the first drop was the only taker at this location. 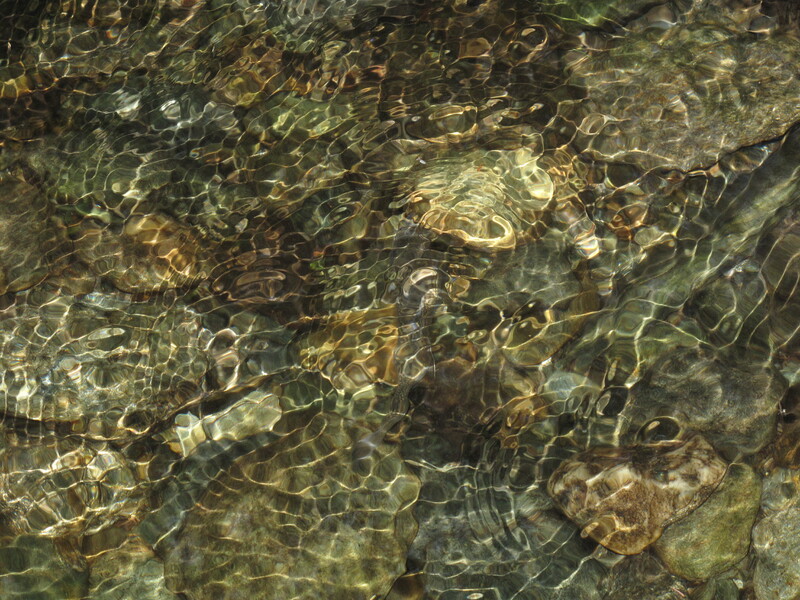 As we approached the next spot we found some new timber as the water was clear and the sun was bright. We fished around but the bite was slow. In the end, this spot only produced a nice keeper walleye and a mixed bag of rockbass and perch. The time had come to try something new. 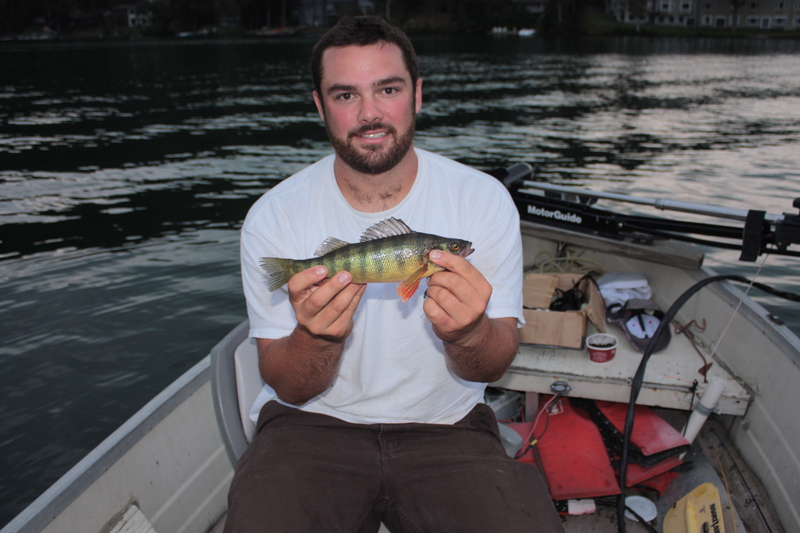 We have been pretty regularly catching deep water jumbo perch with a bottom bouncing rig. 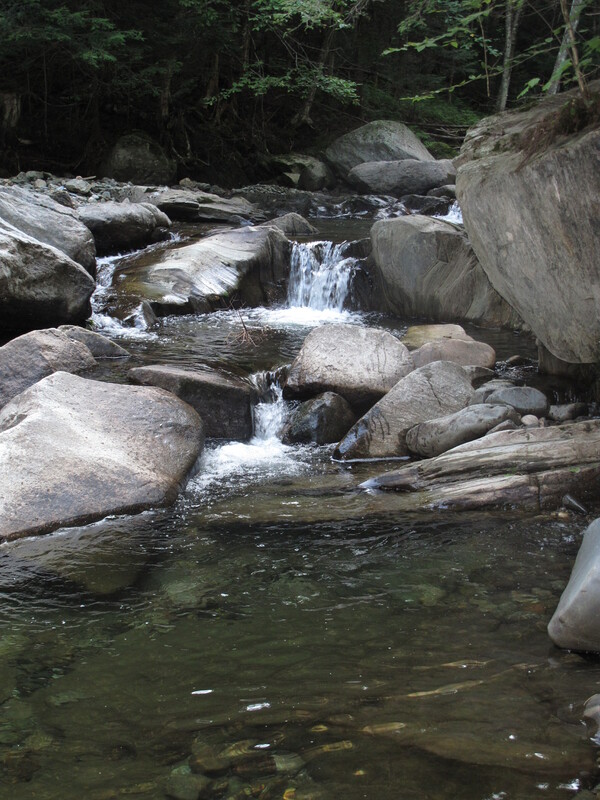 We decided to fish some of the deep holes on the bends of the river using this method. The rig is nothing more than a three-way swivel, with a 1/2 once bell sinker 18′ below, then a small tall of line off the other three-way with a number 6 octopus hook tipped with a crawler. Now that I write that it seems like a lot more but it’s really simple. The presentation is to slowly troll the boat around the edges of the deep holes dragging the rig on the bottom. Much to our surprise it wasn’t more than five minutes before I hooked into a nice eater walleye, and right after that Dylan hooked into a couple himself. 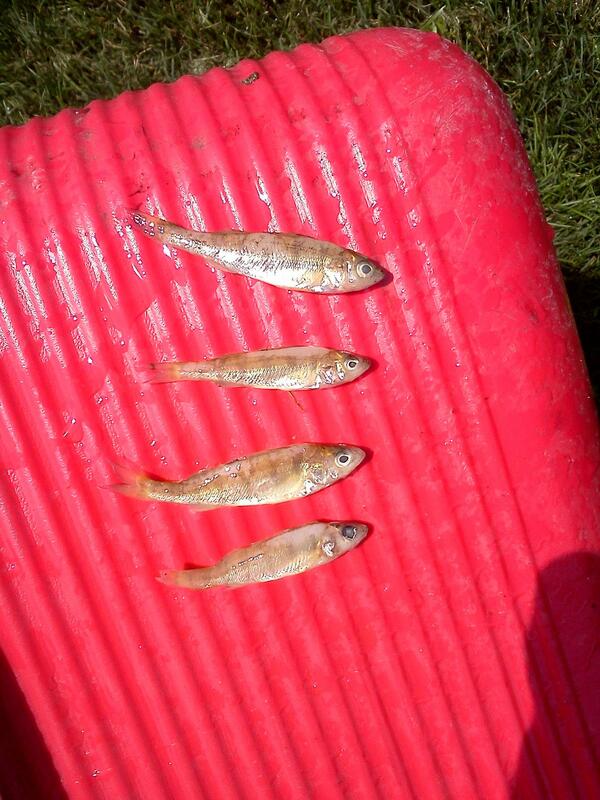 Now we know that we can catch fish in deep holes with a different presentation on the river, D&B 1, Fish Look out! 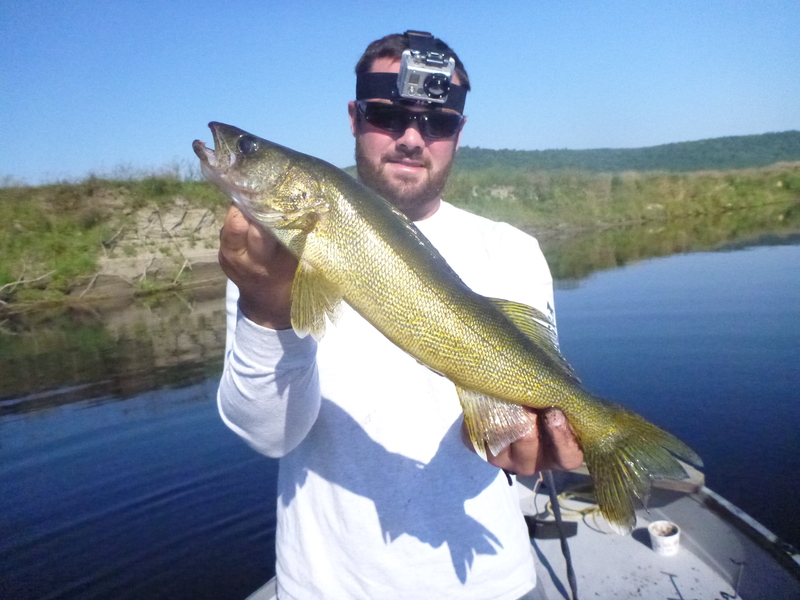 Check out River Walleye on our YouTube page! 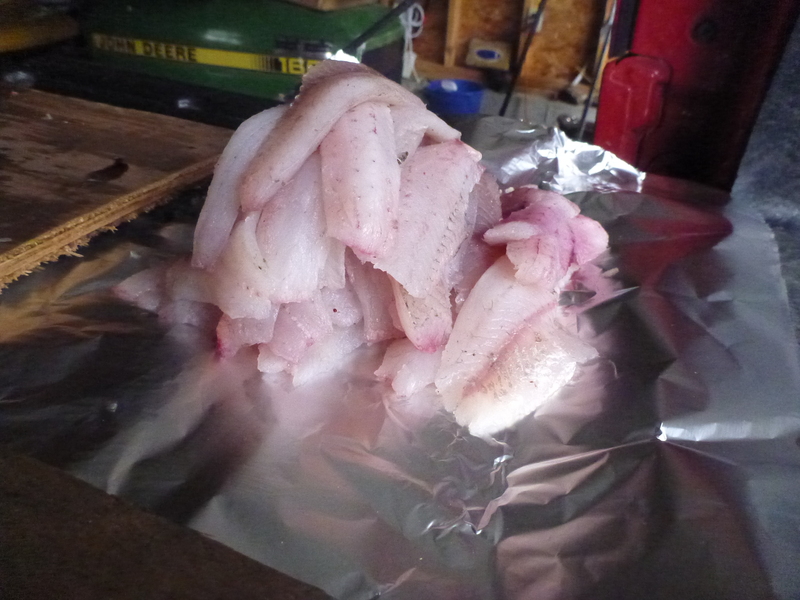 After the walleye fishing slowed big time we decided to go jack up some jumbo perch. With a mid day window we thought the fishing would be slow. 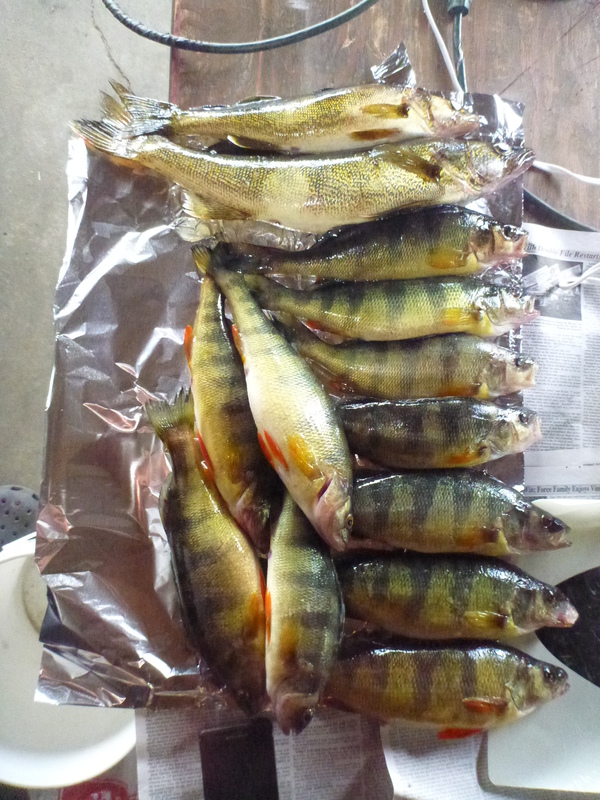 We were right… We fished for a little over two hours but we kept a few for a dinner! After a relatively slow day for us in the boat yesterday afternoon, I knew I needed to get on the water earlier today in order to be successful. 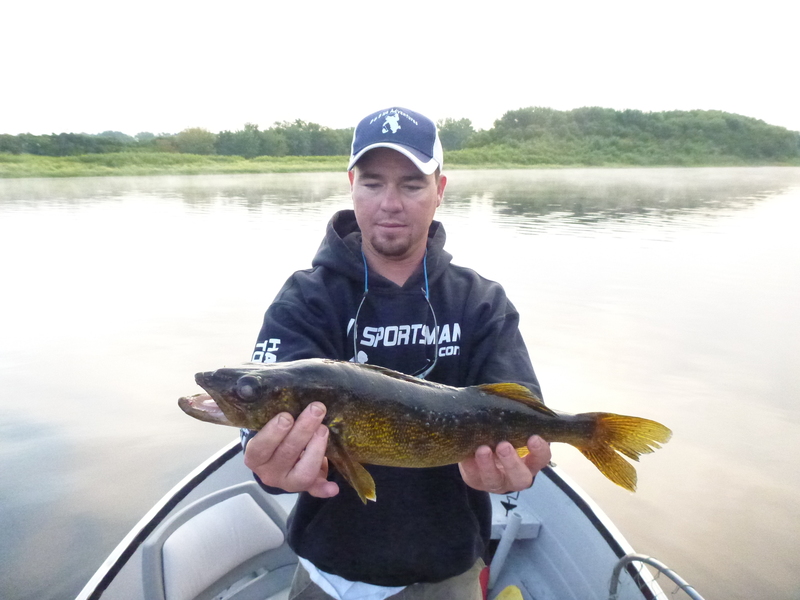 I was on the water around 6 a.m. and the fish were biting decent. The water was calm and the fog lifted slow throughout the morning. By the time I was leaving the sun was finally breaking up the fog and it was getting warm. I found the fish this morning stacked up at a depth of 28-29 feet. 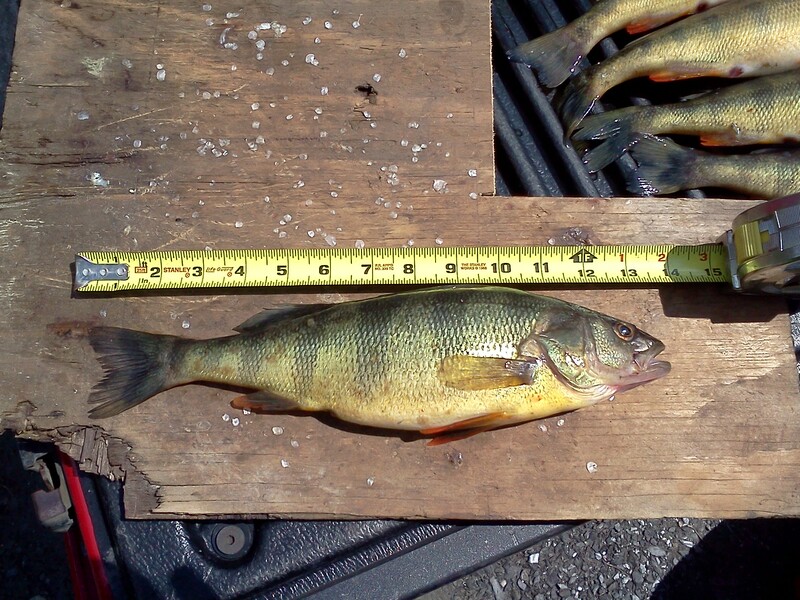 The perch were holding within the bottom two feet of the water column and the bluegill were suspending about five feet up. I was fishing my presentation with a fairly fast jigging action and the best bite was while I was moving the boat slowly with the trolling motor. The set up today was identical to the last two trips to this lake. I was fishing a 1/2 ounce bell sinker about 18 inches below a three way swivel with a size 6 octopus hook tied on with a six inch lead. Most of the morning I was fishing half of a crawler but I found that I was missing quite a bit of the bites I was getting so I shortened up the length a little. I’m sure that a good portion of my missed hook sets were from bluegills that were just nipping at the tail of the crawler. 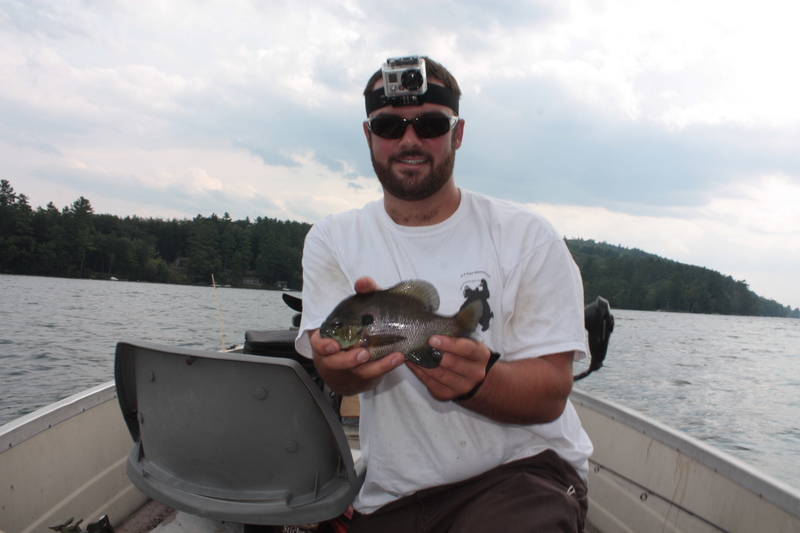 To see some of the bluegill action check out Drop Shot Deep Water Bluegill. With only a few hours in the afternoon to fish before the storm rolled in, we tried our best to make the most of the humid afternoon. 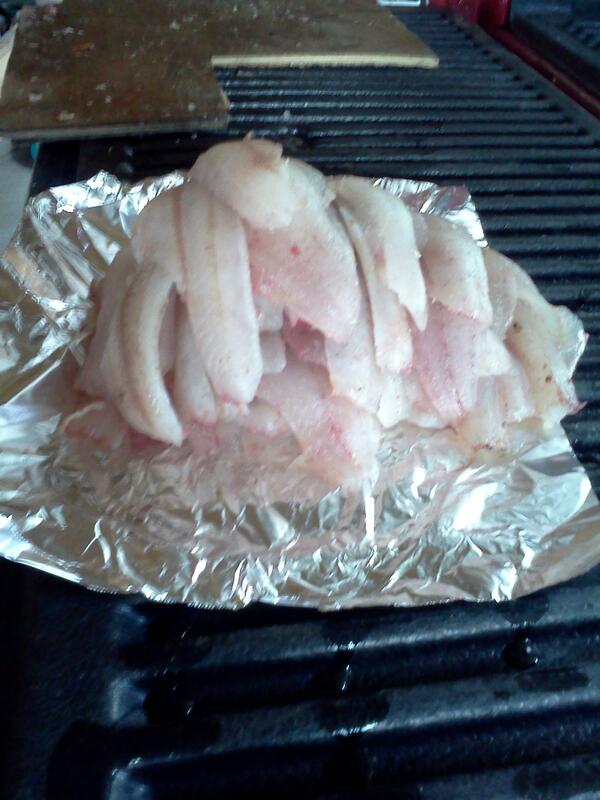 Being 1 p.m., our hopes weren’t too high that the fish would be pounding. We hoped at best for a steady but slow bite. The morning is the best bite but with work and all, we did what we could. 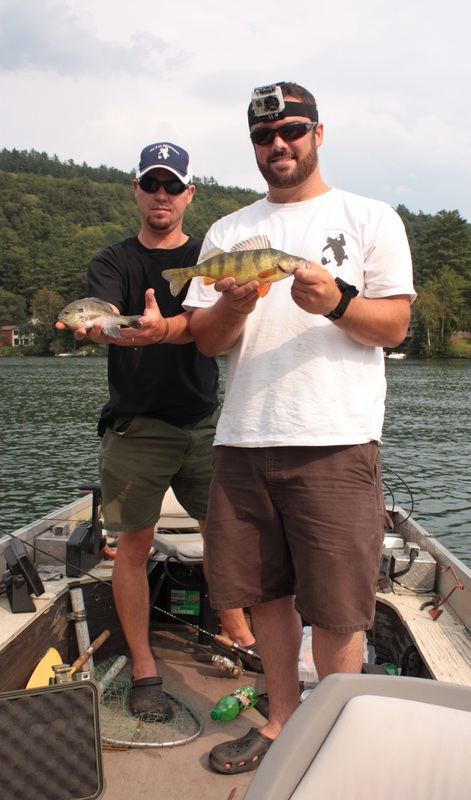 Right off, we caught a few decent perch and surprising for this lake some deep water gills. We were targeting a 22-28 foot break along a weed line that has a soft sandy bottom. Being the middle of the day, we suspected that the fish would be holding in the weeds waiting until sunset when the would begin to feeding again. As we moved around using the trolling motor, we found that the fish were very inactive and that the wind was causing us to have some serious issues. We hit all the usual spots that we know the fish to hold up in. They were there, just not hungry. We kept searching for pods of fish thinking that one might give us some solid action. Picking up a few here and there was frustrating after seeing all the fish on the screen! After fishing for a few hours and catching a someslab perch, we made a big move to the other end of the lake. The wind was far worse and the fish were more scattered than the place we had just left. We gave it a shot for a bit but quickly decided to move back to the other end of the lake. 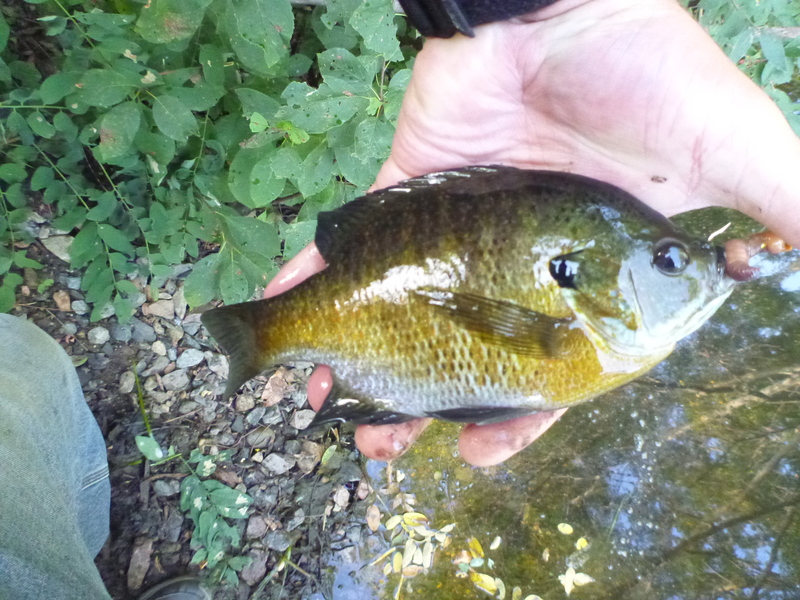 As we were pulling up our lines I caught this nice bluegill out of 26 feet of water. As the day wore on, the clouds darkened and we thought we were going to have to head out early. With a little disregard for the distant booms of thunder, the skies cleared back up and the fish turned on. At least for a bit. We caught fish for another hour before the next storm rolled in. Overall it wasn’t a bad day. 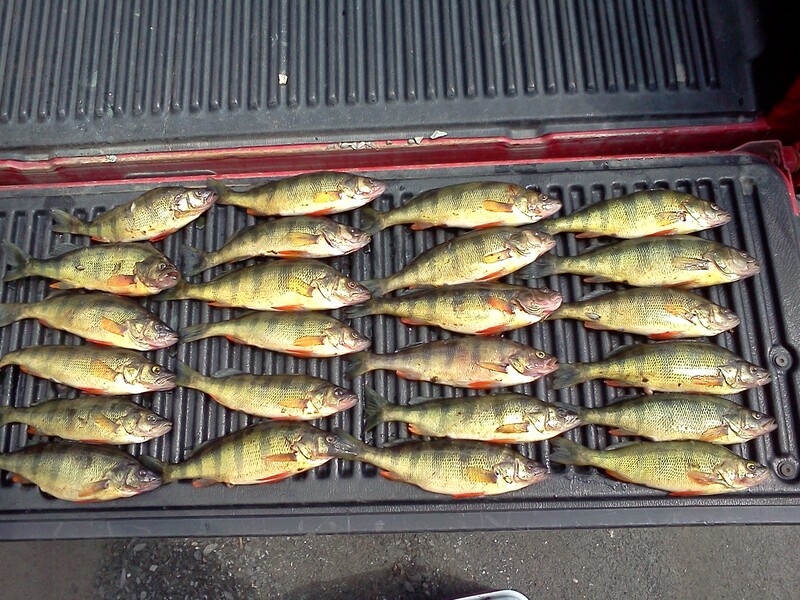 We caught a decent number of perch, some big gills, and one good bass. We found that moving the boat with the trolling motor or casting with a slow retrieve got the best results. The fish liked more crawler than you would think could fit on a hook with a little extra dangling! We got in the truck with only a few minutes to spare before the skies let loose. It rained hard but only for a short bit. Too late, we were already on our way home to get ready for the next adventure. 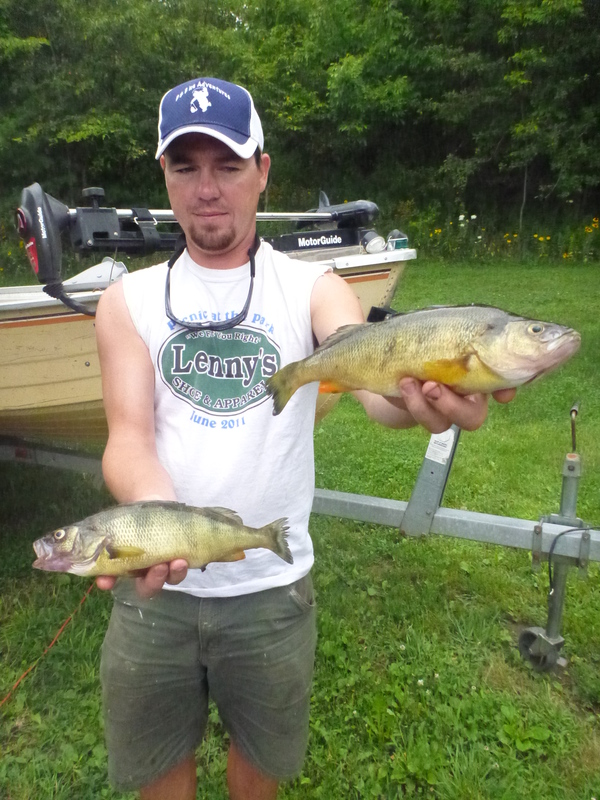 To see some action from the day, check out Deep Water Perch and Bluegill on our YouTube page. I decided to fish for perch again today but with a new technique. I figured if I can catch them in the winter I should be able to in the summer using the same set up so that’s what I did! As with yesterday, the lake was glass. Using my winter set up, I dropped down and started catching fish. When I was positioned over the fish they bit. Whether I caught them or not was all by chance. They were biting hard and because the lake was calm when I got a them, I got them good. 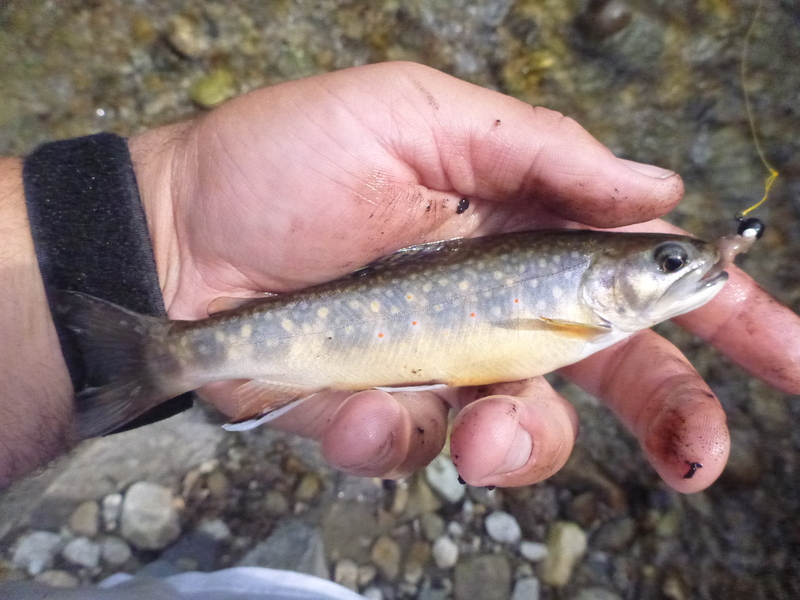 The fish came quick biting on an size 6 octopus hook tipped with a small segment of a crawler. I had the hook tied on a 6 inch lead, tied to a three-way swivel, weighted down by a 1/2 ounce bell sinker about 18 inches below the swivel. This set up allows an angler to know exactly how far their bait is off the bottom as the perch seem to cruise close to the bottom. 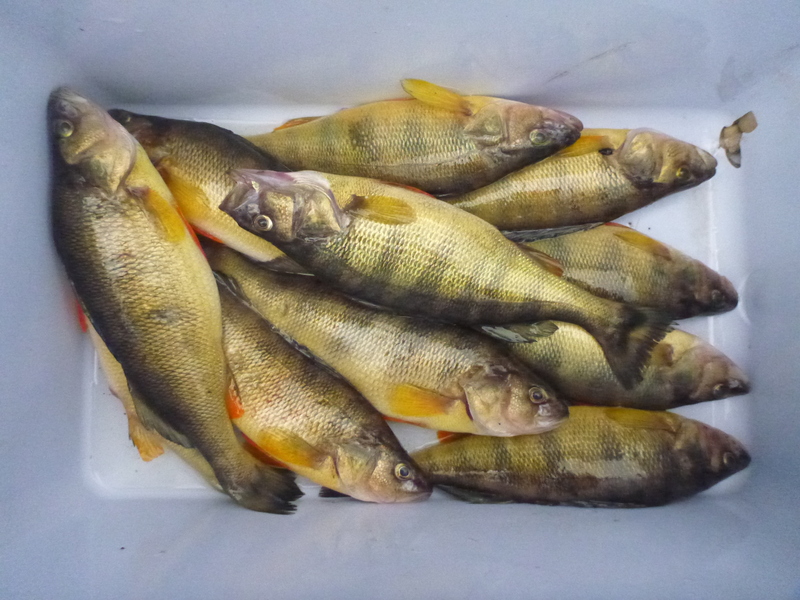 Check out Jumbo Perch – 8-12-12 on our YouTube page! Some filets for the fish fry! 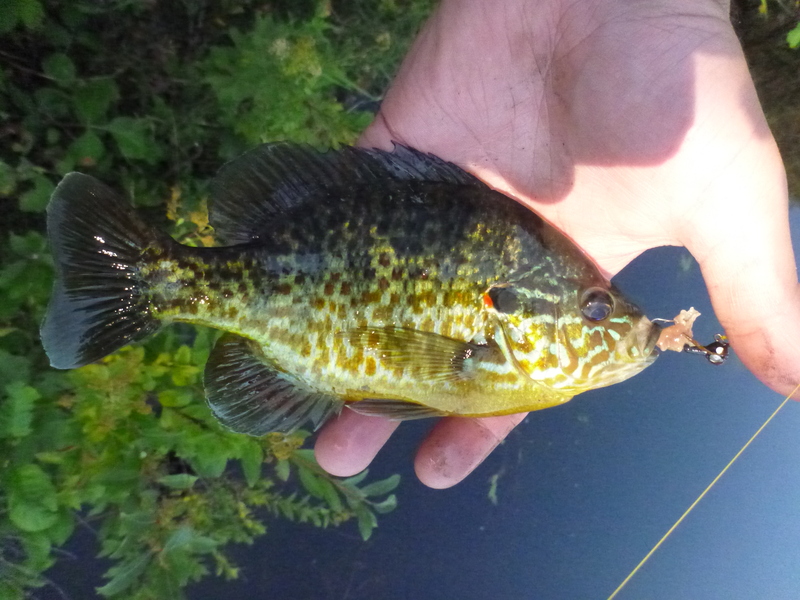 As the fish came up from the depths, many were spitting up baby perch. 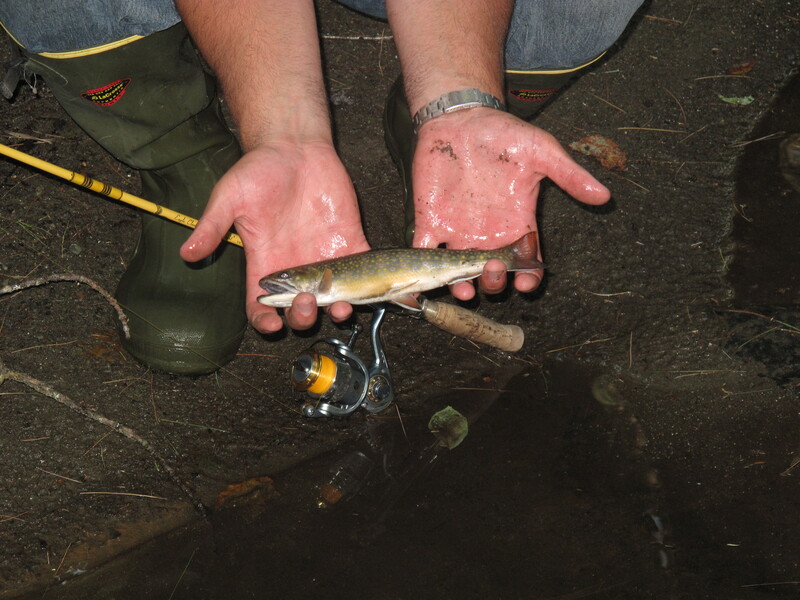 After re-tying 1/4 ounce leadheads and crawlers on, I began catching fish. I was fishing the same area that we had good luck at a few weeks back. The fish were roaming the basin first thing in the morning but as the sun came up, they slid a bit more shallow holding on weed edges. Using my graph,I did my best to maneuver the boat along the weed edge and pick at the fish when I could. The fish liked chartreuse the best of all the colors I tried and I had to be moving it slightly as the wind and waves were pretty much non-existent. After fishing for a few hours, the rest of the lake woke up and people came from every angle. It was time to head home. I took a bakers dozen home for an upcoming fish fry. 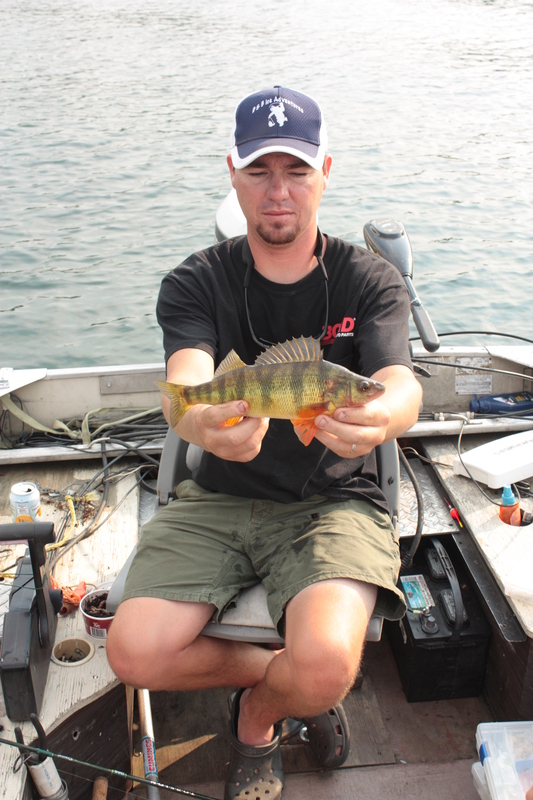 Check out Vertical Jigging Jumbo Perch on our YouTube page.